This section of the News and Media Services department site tracks stories in print and broadcast media that feature Auggie faculty, students, and staff. The area also is home to material developed for University-related programs, events, and more. Augsburg University has named Ryan K. Haaland as the dean of Arts & Sciences, responsible for providing vision and leadership for faculty and academic programs, and supporting Augsburg’s emphasis on student-centered learning. 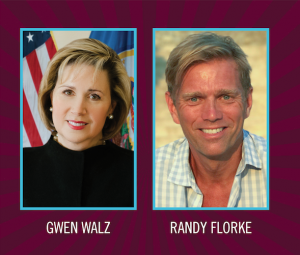 Haaland comes to Augsburg from Fort Lewis College in Durango, Colorado, with many years of collaborative leadership experience in multiple institutional contexts, and 21 years of distinguished service in the U.S. Air Force. 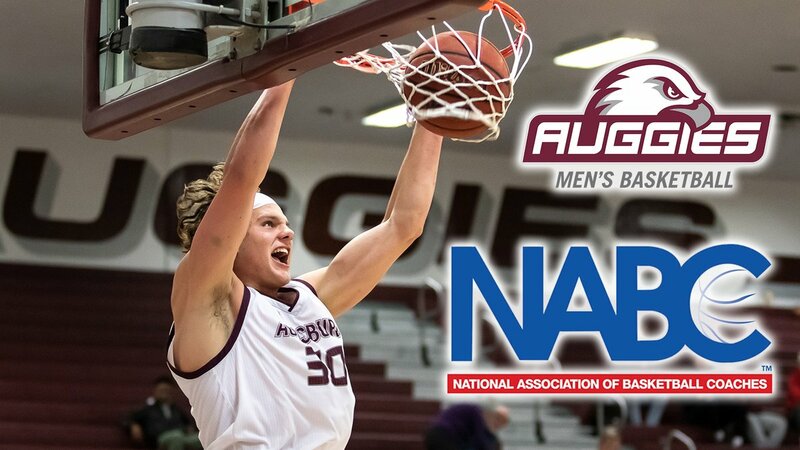 Haaland will transition to Augsburg this summer and be on campus full-time in July. He also will hold a tenured faculty appointment as professor of physics. A nationally-recognized leader in broadening participation and diversity in STEM education, Ryan has received numerous grants and developed strategic partnerships that advance pathways and opportunities for students with industry, federal institutions, and research universities. Haaland currently serves as Arts and Sciences Liaison to the Provost at Fort Lewis College, where he is professor and chair of the Department of Physics and Engineering. 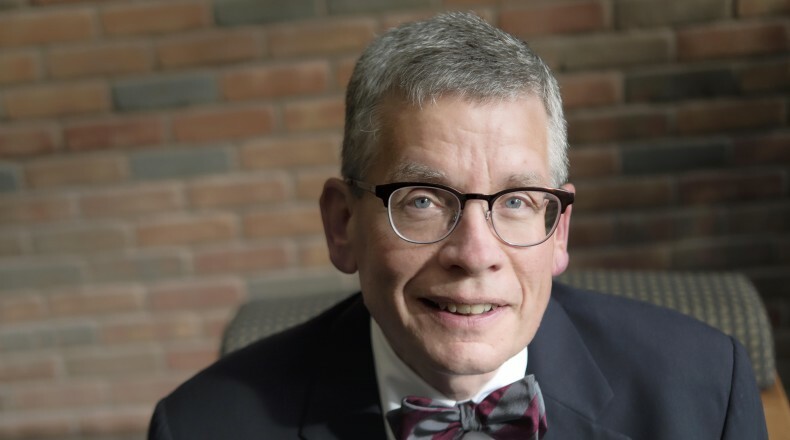 He serves in this dean-equivalent position with cabinet-level responsibilities that include representing 15 academic departments and 25 degree-granting programs. He helped lead the design and construction of a $35 million state-of-the-art science and engineering facility at Fort Lewis College, where he also developed and launched new computer engineering and interdisciplinary environment science programs. He brings extensive engagement and outreach experience with community partners, alumni, and members of the Board of Trustees. 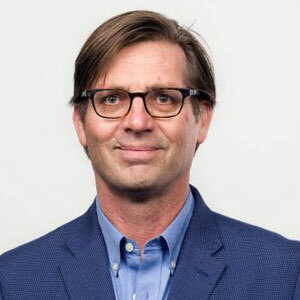 Haaland joined Fort Lewis College in 2006 as a faculty member after serving 12 years in the Department of Physics at the U.S. Air Force Academy, where he rose through the faculty ranks from instructor to associate professor and department chair, in addition to other leadership roles. Haaland earned a bachelor’s degree in physics and mathematics from Concordia College in Moorhead, Minnesota, a master of science degree in space physics from UCLA, and a doctorate of philosophy in physics from the University of Oxford, England. Augsburg University basketball star Devean George, who went on to three NBA championship titles, was honored by the NCAA during men’s Final Four week as one of its 2019 Living Legends. 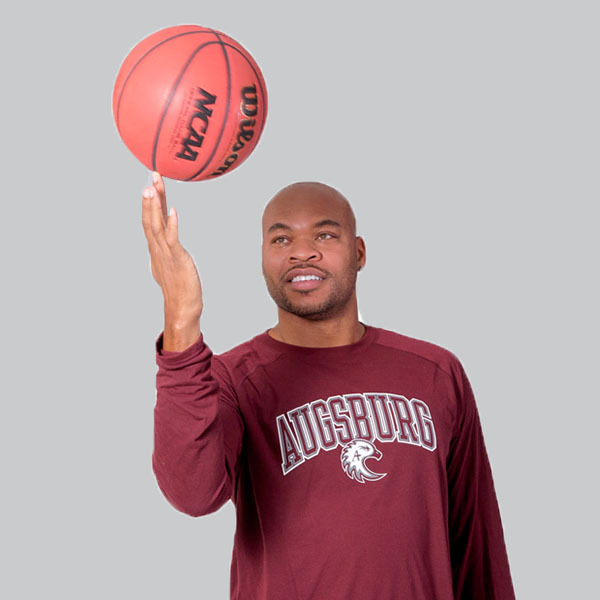 George grew up in North Minneapolis, played at NCAA Division III Augsburg and went on to play 11 seasons in the NBA, winning three championships with the Los Angeles Lakers. Off the court, George devoted his time and energy to numerous Minneapolis charitable organizations focused on families, education and children. 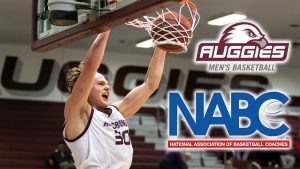 View the NCAA press release for more details. President Paul C. Pribbenow is being awarded the highest Association of Fundraising Professionals (AFP) honor bestowed upon one of its members. The Outstanding Fundraising Professional award recognizes effective, creative and stimulating leadership, as well as the practice and promotion of ethical fundraising. Pribbenow will formally receive the award on April 2 at the association’s International Fundraising Conference in San Antonio, Texas. View the AFP press release. Augsburg University Dean of Students Sarah Griesse with an Act Six scholar. On March 12, 45 of the Twin Cities’ most promising high school urban leaders received the Act Six scholarship, an initiative of Urban Ventures. Act Six is Minneapolis-St. Paul’s only full-tuition, full-need urban leadership award. 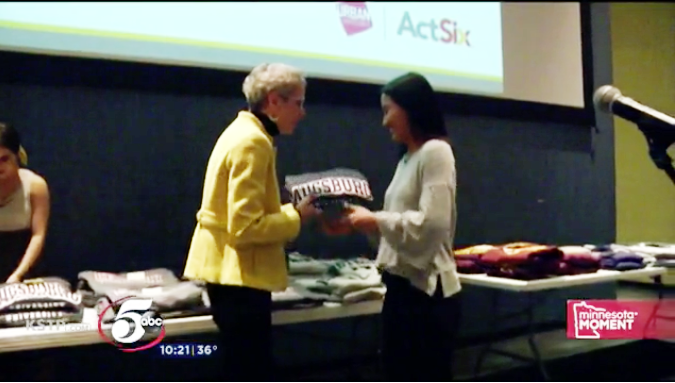 Augsburg University is proud to be one of the six partner colleges, all of which are located in the Metro area. Watch the full report at KSTP Channel 5’s website. 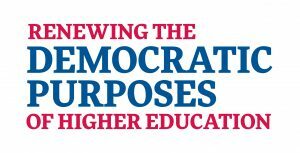 “Democracy and higher education are inextricably linked in the United States.” This is the central claim of a February 2019 essay, “Renewing the Democratic Purposes of Higher Education,” published by the Association of Governing Boards. The lead author of the essay is Augsburg University President Paul C. Pribbenow, with editorial assistance from Green Bouzard, administrative program coordinator in Augsburg’s Sabo Center for Democracy and Citizenship. The publication is part of AGB’s Guardians Initiative, focused on reclaiming the public trust in higher education. To address emergent challenges to democracy—including political polarization, the devaluation of evidence and truth, and deficient levels of civic engagement—higher education leaders must understand democracy as a way of life rather than as isolated volunteerism or participation in elections, the article argues. “A healthy democracy requires engaged citizens, and engaged citizens require preparation and practice,” the essay states. So, while education may be aimed at preparation for careers and professions, the essay affirms that it also must, at the same time, be preparatory for citizenship. 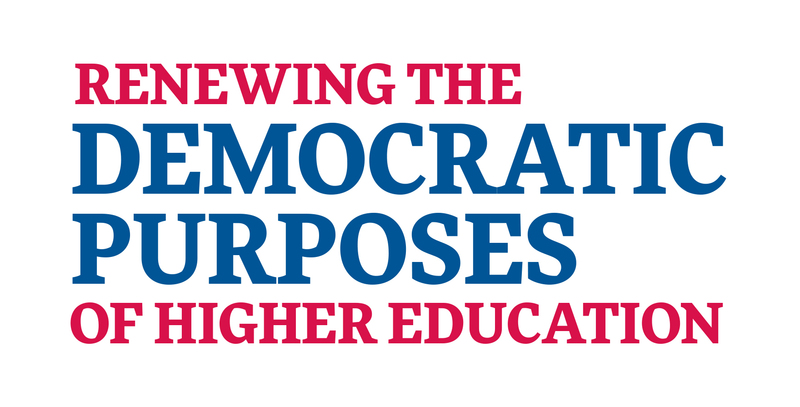 The essay discusses the economic, social, and civic impacts of colleges and universities—cultivating engaged citizens, serving as community partners, and connecting work with public purpose and community-building in our nation. In April, Pribbenow will lead a session on this topic at AGB‘s National Conference on Trusteeship, and in July will lead a session with a select group of university presidents and trustees at a Kettering Foundation event. advocate in her own right for equality, public education, and prison education. 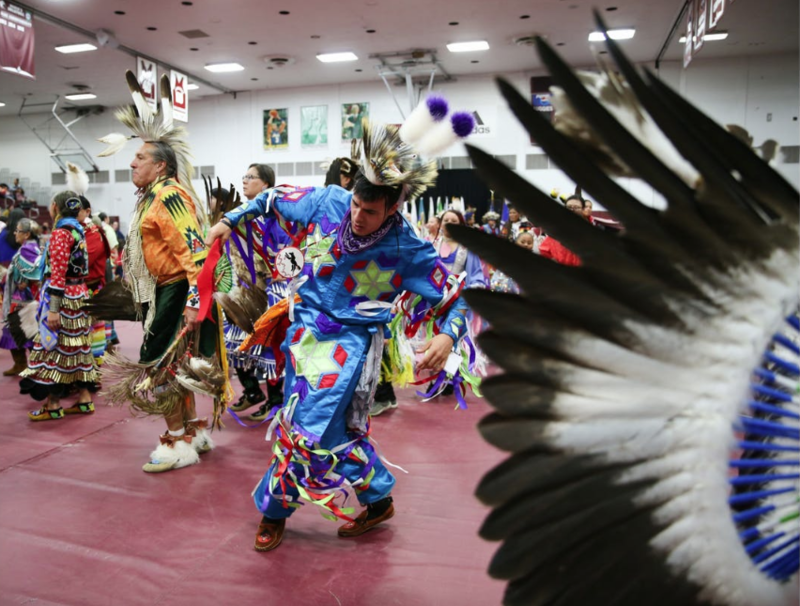 Walz is the wife of Minnesota Governor Tim Walz and recently began working at Augsburg. Walz and Florke met when they were both Congressional spouses. Florke is married to New York Congressman Sean Patrick Maloney.